GTribe, the world's top social media network for technology enthusiasts and PC gamers, has partnered with NZXT, BLD (by NZXT), XFX, Seasonic, Subversive, Swiftech, Titan Rig, Voidu and Logitech G for a supreme giveaway experience! 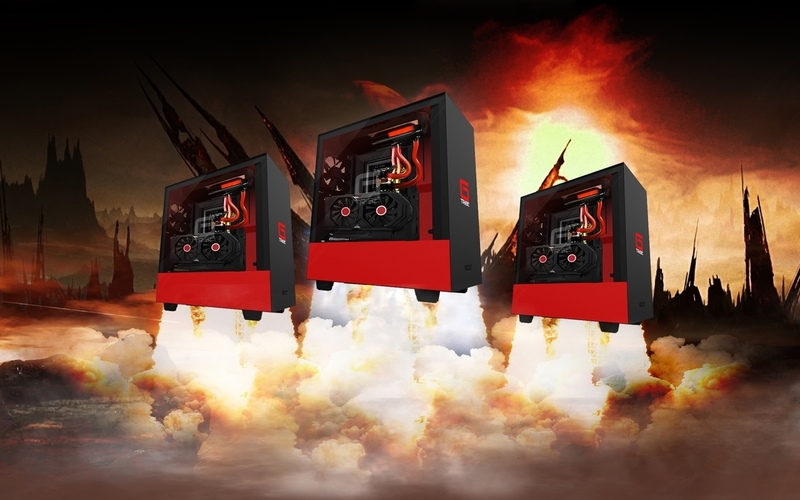 THREE (3) Grand Prize Winners will each receive a powerful gaming PC, handcrafted in California by BLD (a division of NZXT). This stunning PC is hyper-powered by Intel's 8th Generation Core i7-8700K Processor and an XFX Radeon RX 580 GTS Black Edition GPU. This savage gaming beast is also encased in a custom Limited Edition GTribe ATX chassis based on the H500i by NZXT. The combined value of the prizes is $10,500.